El Salvador - "The Tom Thumb of the Americas"
El Salvador, the smallest country of the Central America, is situated on the Pacific shore neighbouring to Guatemala and Honduras. Prior to invasion of Spanish conquerors, the present territory of El Salvador was called Cuscatlan, which, translated from Nahuatl, means "the land of jewels". However, despite that "the Tom Thumb of the Americas" (a nickname invented by Gabriela Mistral) possesses numerous natural, scenery, cultural and historical sights, it has not yet become an independent tourist direction, it still lives in the shadow of its more eminent neighbours. Most of tourists turn out in Salvador in transit, just sparing 2-3 days for familiarization with the capital, which, with all its economic, political and cultural significance, is not the most interesting place to see in El Salvador. Another obstacle for development of tourism - is rather scant information, most often simply duplicated from obsolete guide books depicting rather a miserable picture of economic backwardness and political instability, thus little by little leading the readers to the thought that El Salvador is totally unsuitable for tourism. Meanwhile, according to the service level, El Salvador is capable to satisfy the needs of the most demanding and experienced travellers. International airport Comalapa is thought to be the most modern and technically equipped one in Central America. The choice of hotels is enormous: starting from splendid Radisson, Hilton, Hotel Presidente, luxurious country clubs and beach bungalows to numerous picturesque private hotels, hostels, guest houses, the prices in which range from 15 to 30 dollars. Equally with traditional Salvadorian cuisine Mexican, Italian, Brazilian cuisines are also widely represented. Among the basic attractions of the capital El Salvador del Mundo square, national theatre and palace - are worth mentioning. In the historical centre of the city there is also a main cathedral with an unusually picturesque facade in traditional style. 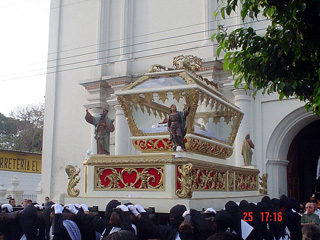 In San Salvador one can visit a large number of museums, among which it is worth distinguishing the National museum of anthropology, National museum of decorative art and, probably the only unique museum for children Tin Marin, in which the kids as well as their parents are offered not only to see but take an active part in the process of creation of the beautiful. Those who like to go shopping will be pleasantly surprised both by a vast variety of trade centres, boutiques, shops of fashion garments, shoes, domestic appliances, etc., and "agreeable" prices, much lower than in neighbouring countries. For those preferring to continue merriment at night, the doors of numerous bars, clubs disco clubs are open on the outdoor terraces in Zona Rosa, Multiplaza and La Gran Via. But those who prefer to spend an evening in calm and have rest from the city fuss can ascend the towering over San Salvador mountains and enjoy a cup of hot chocolate there in one of the coffee shops with a fantastic view to the night capital. 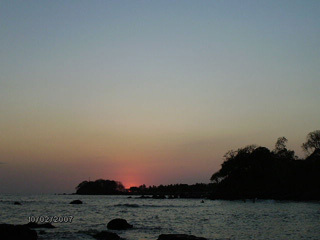 The total length of El Salvador beaches is about 300 km along the Pacific coast. El Salvador is thought to be the best in Central America place for surfing - that is why international competitions and gatherings of surfers take place there on a regular basis. Excellent conditions for water skiing, wind surfing, diving and rowing have also been created here. Connoisseurs of natural beauty can enjoy the most beautiful lagoons, natural swimming pools, virgin mangrove swamps. In restaurants on the beaches you can taste fresh sea-food and the most tender local grilled fish boca colorado. 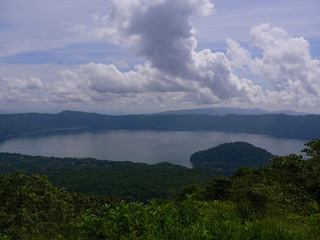 Apart of beaches, El Salvador is also known as the land of "lakes and volcanoes". 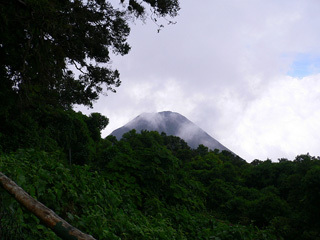 The most picturesque volcanoes - Santa Ana and Izalco (named a "beacon of the Pacific ocean") is situated in the western part of the country. Here there is a majority of coffee plantations, where special brands of highland arabica coffee are grown. Cool climate, special technologies of drying and roasting add to Salvadorian coffee an unforgettable rich taste and aroma. One can get acquainted with a unique flora and fauna of the extinct volcano and enjoy the majestic Izalco in the national park Cerro Verde, next to which there is a picturesque volcanic lake Coatepeque. For lovers of eco-tourism the national parks Montecristo and El Imposible will become mandatory points for visiting. The latter is a real Salvadorian tropical selva occupying the territory of about 5000 hectares. Here you can see more than 500 species of butterflies, 400 wood species, 300 bird species, reptiles and creepers, more than 100 species of mammals. In the eastern part of the country there are places of amazing natural beauty: lagoon La Alegria that is famous by its possessing medicinal properties emerald green water, the only in El Salvador valley of geysers, national reserve Rio Sapo that is ideal for camping. Among the most significant archaeological attractions in El Salvador we may point out one of the largest religious centres of ancient Nahua - Tazumal, the architectural complex consisting of pyramids, burial places and a ground for playing ball; Joya de Ceren (Jewel of Ceren in the Spanish language) - Pompeii of Central America - a unique village of Maya, completely covered by ash, due to which it was preserved almost untouched. And finally San Andres - the administrative and religious centre of Nahua, where, among the rest things, one can see an excellently preserved ancient "factory" for production of indigo dye. 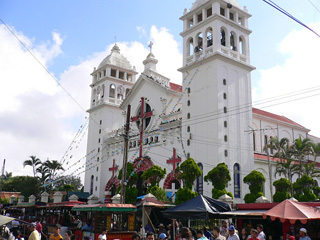 Numerous colonial cities of El Salvador, each with its inimitable colour, surprising with its simplicity and amazing proportionality colonial churches, parks, narrow winding streets can be attributed to historical monuments. 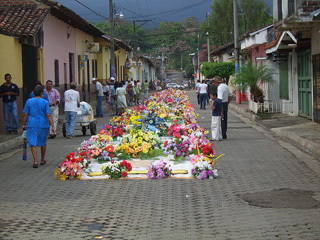 Almost every year the city holds its own cultural events famous throughout the whole country: gastronomic festival in Juayua; carnival in San Miguel (colourful, unforgettable show with national dresses, music and fire works); folk arts festival in Suchitoto; solemn Eater processions in Sonsonate, prior to which the whole city is covered with fantastic salty rugs - tradition that was preserved only here, in El Salvador. All the above mentioned - is just a fraction of what one can see in El Salvador. But the main heritage of the country, as acknowledged by all, are people: hard-working, well-wishing and hospitable Salvadorians are always ready to tell the traveller which other pearls can be found in this amazing, original land.